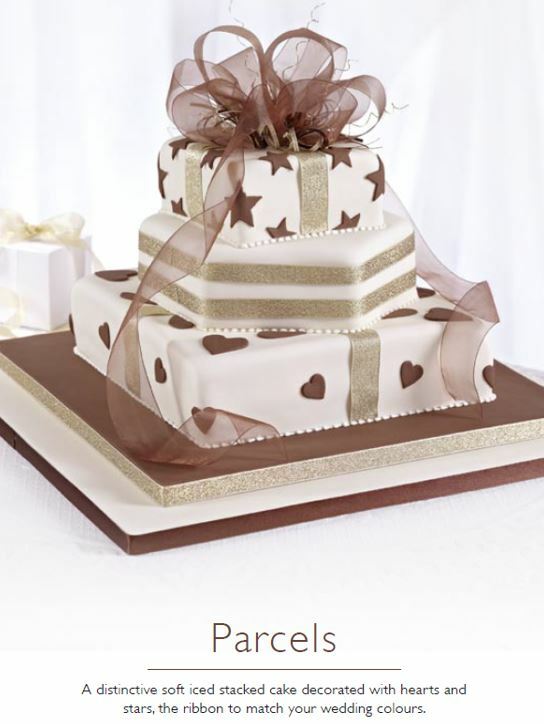 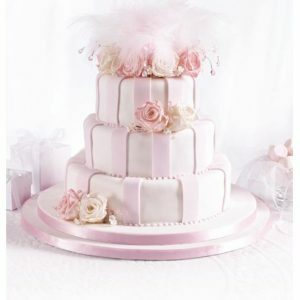 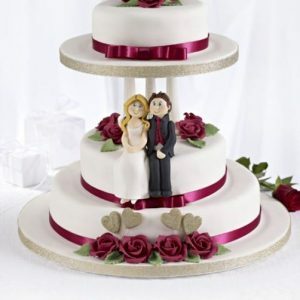 A distinctive soft iced stacked cake decorated with hearts and stars. 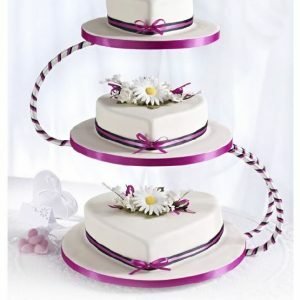 The ribbon can be coordinated to match your wedding colours. 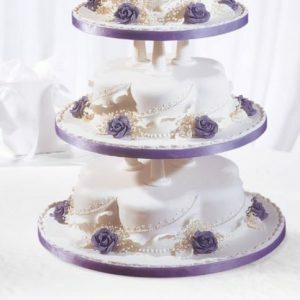 The price includes delivery and set up at your venue .